I am going to show you how to break down the face working with all the figures, mouth, nose , eyes and ears. 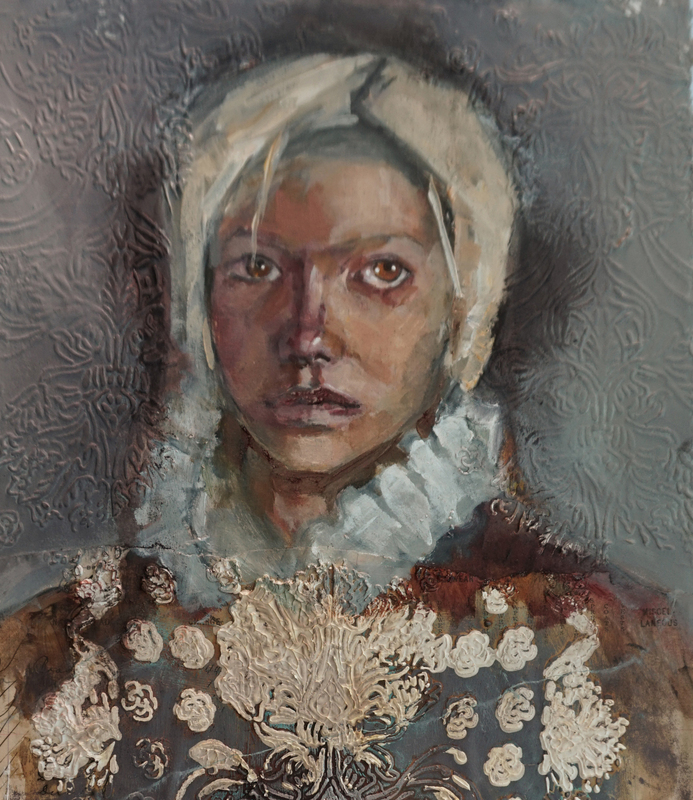 We will later take these studies to make our own original portrait. 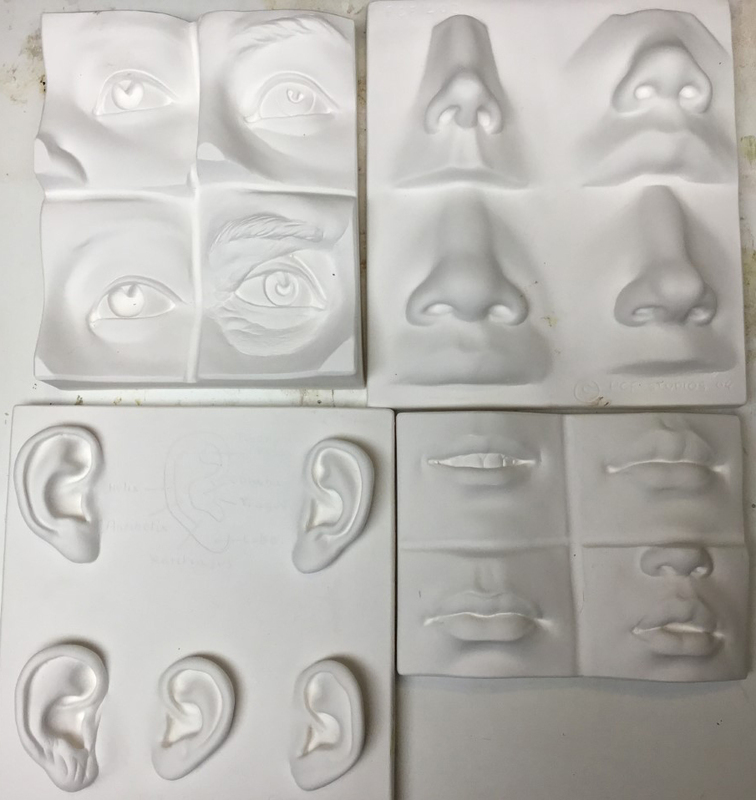 I have a series of plaster molds with 6 pairs each of eye, nose , mouth and ears. I will have photo references of them in different lighting situations. We will make little studies of all the features in the morning. In the afternoon we will complete 1 portraits. We will take this information to create our own face. Now the face can be abstracted. We could take one eye and match it up with another eye and just play with creating something fun after learning the basics of how to paint and make 3 dimensional the features. ACRYLICS (I use Golden Open Acrylics) titanium white, quin. Nickel azo gold, paynes gray, ultramarine blue, alizarin crimson Like THIS! WATERCOLORS- any type as long as you have a yellow, blue and red. They can be alizarin crimson for the red, yellow ochre for the yellow and ultramarine blue for the blue. filbert brushes size 2,4, 8 and the angular brush like THIS! WATERCOLOR BRUSHES - So for less expensive watercolor brushes try these in the same sizes Grumbacher synthetic sable brushes sizes #0, #1, #2, #3 ( I use my Winsor Newton series 7 sable brushes which are quite expensive if you are interested in pursuing watercolor more) like THIS! 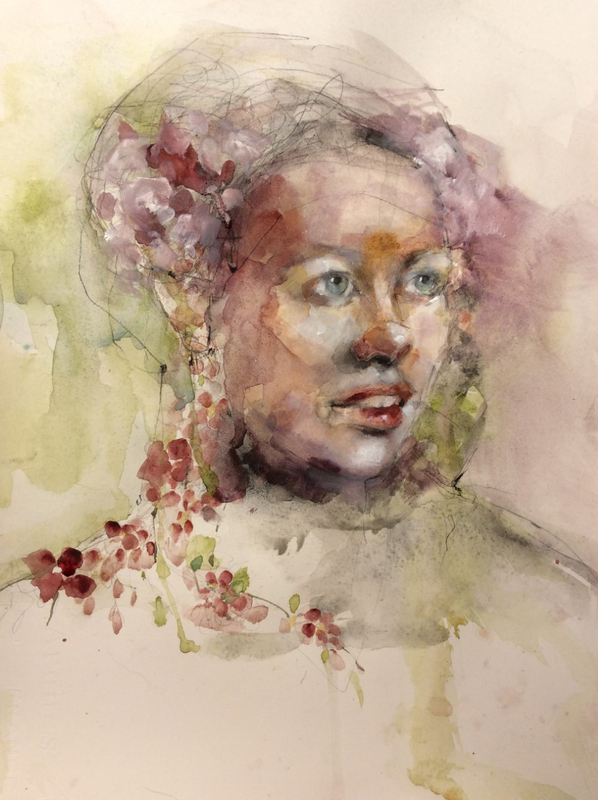 Watercolor paper ( I use either 300 lb or 140 lb hot press watercolor paper) 3 pieces approximately 11" x 17"